If you need to borrow some money you pop down to your local bank or building society and ask for loan, right? Well this may be very safe and easy options but for various reasons it may not be for everyone and financially they may not get you the best return on your money. Here's a look at some alternative forms of lending. Credit Unions – Usually these are set up in local areas to benefit those people in the community or are for certain professions or trade unions such as nursing or transport workers. They work in a mutually beneficial way so they don't need to make profits for expectant shareholders. This means they can offer financial services to those who won't normally be accepted for a loan by high street banks. Of course you need to fit the criteria to see if you can benefit from a credit union whether through where you live, your employer or other associations. If you want to find if you are eligible to join a credit union you search easily on Mutual Financial Services. Peer to Peer lending – Also known as P2P, Crowd lending or social lending this form of lending has been around for 10 years now. In recent years the popularity of P2P has increased and looks to further expand in future years. Rather than using banks it involves taking out a loan from a provider who will source the finance from UK residents looking to save money. The money from all the savers is then gathered together and the company lends this out to the approved loan applicants. In many cases you will have heard of the company and not realised they are a P2P lender but thought they are simply an online lender. How they are financed will make little difference to the borrower and will seem similar in process to dealing with traditional lenders. Both the borrower and lender can often benefit from better rates than if they simply turned to a bank or building society. Most lending is done on the same basis as banks in terms of amounts loan (usually between £1,000 to £25,000) and the lending period (between 1 and 5 years). Since April 2014 companies offering peer to peer lending have been regulated by the Financial Conduct Authority (FCA) so only genuine companies can now accepted for peer lending. Pawnbrokers – You may have noticed a number of television programmes about pawnbrokers in the last year. Many pawnbrokers still solely operate in the traditional way by offering loans on items such as jewellery but many accept whatever a potential customer has to offer as long as it has a resale value. This can be works of art, antiques, cars and even yachts. Your item acts the guarantee against the loan so if you can't pay the loan amount back on the due day after giving you notice the pawnbroker can sell your item to fund the debt amount. If the sale doesn't raise as much money as the loan you will still be liable for the difference. For example if you a pawn a gold ring for £200 and default against the loan so it is sold but only for £150 you will still need to pay the extra £50 and you can no longer claim your ring back. Bear in mind as well that the retail value of an item is usually much higher than a second-hand sale price so you many be disappointed at the amount your item is valued out. The interest rate on items that are pawned is usually much higher than banks at over 50% APR however they don't run credit checks as you have already offered your goods as a guarantee. If you want to use a pawnbroker find one that adheres to the National Pawnbrokers' Association code of conduct. Pay Day Lenders – Like pawnbrokers these companies offer short term loans but the lending period is based on days rather than weeks and months. The idea is that if you need money today but you can repay it within a short period of time i.e. once you get paid, this is a quick and simple form of borrowing. However, such loans have many pitfalls to them. The typical interest rate is usually over 1000% APR making it one of the most expensive forms of lending. Also many mortgage lenders are now turning down loans to people who have taken out pay day loans. This is because they are seen as financial risk and someone who can't budget their money. For example if your car broke down and you didn't have the money to get it repaired until payday instead of going overdrawn you decide to take out a payday loan but still repay it back in full within a couple of days. It could be assumed you have no savings and no extra income available if the mortgage interest rate went up. Have you ever taken out a loan? 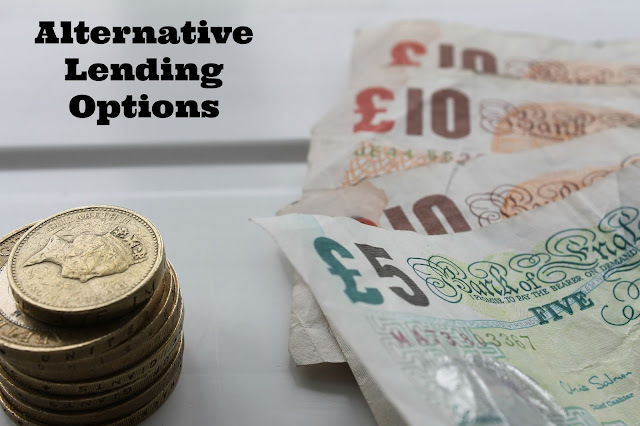 What are your experiences of alternative lenders?